Inside, you’ll find answers and soulful guidance. Heal from Heartbreak and Attract the Love You Deserve. Healing from heartbreak can feel like an emotional roller-coaster. Some days, you’re feeling strong, other days you’re absolutely shattered. Then there are the days that you just want him back. Through my coaching practice I use the power of truth as the gentle catalyst for finding peace within what can feel like a storm after a breakup. The intention for this book is to provide you with some insights and tools to help you heal from heartbreak and move forward in your life in a loving and peaceful way. Isn't it time to get back to the life that your heart longs for? Discover The Best Way To Truly Heal From The Inside Out So That You Can Experience a Full, Exciting, Invigorating Life Again… On Your Own Terms and Without Baggage Holding You Down. You’ll learn 5 Relationship Truths… and much more. 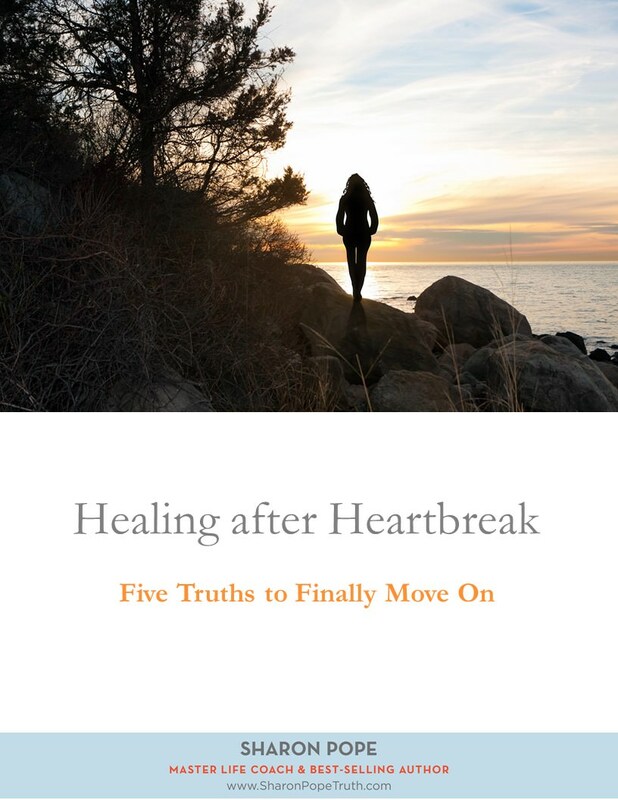 This free e-book will start you on the journey to healing so that you can stop staring wistfully at the vacant side of the bed or the silent spot at the table or the empty place on the sofa.